Using many textured materials; Pebbles, Gravels, Wood, Bricks and Grass Patches. 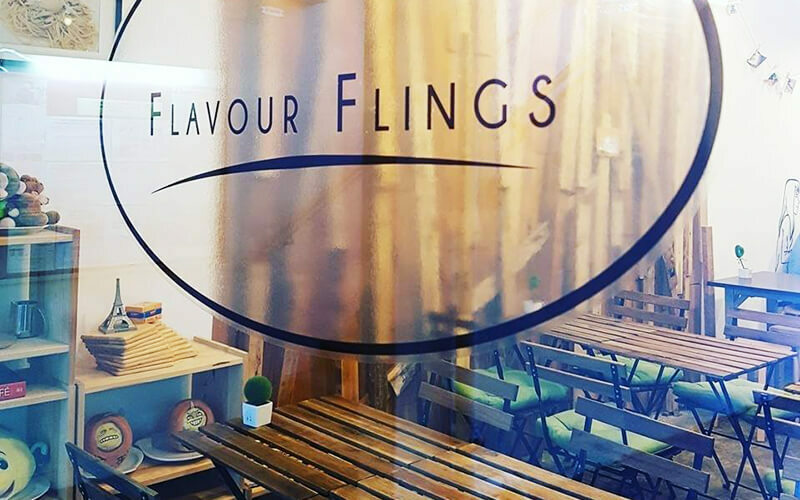 Flavour Flings brings out a pretty zen and natural cafe experience to its guests. While dining in an eco setup, Chef Shawn, an Alumni of The Culinary Institute of America, Singapore, buzzes around the kitchen, presenting Modern American and French All Day Breakfast and Brunch delights. You will be surprised to see many American and French classics, and also some twists around many flavours, ingredients and presentation.